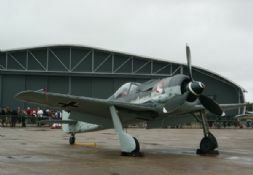 The introduction of the German Focke Wulf Fw190 in 1941 was the cause of great concern in the RAF, as it proved vastly superior to the Spitfire Mk V, which was then the RAF's main fighter. 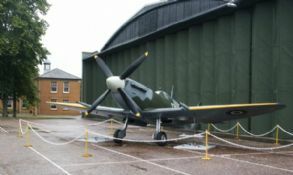 Rolls Royce had developed a new version of the Merlin engine, the 60 series with 2 stage supercharger and Supermarine were re-designing the Spitfire around this new engine. However, it would take some time to develop the new version, so the new engine was fitted in a modified Spitfire, which became the Mk IX. This proved very successful and was good enough to combat the Fw190, so it was rushed into production. 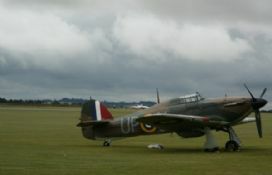 The Spitfire versions under development were the Mk VII and Mk VIII. 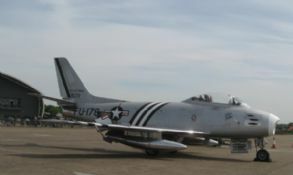 The Mk VII was a dedicated high altitude fighter with a pressurised cockpit, while the Mk VIII was a general fighter without the pressurisation. They came into service in 1943 and the Mk VIII was deployed to the Mediterranean and Asian theatres of operation. Most of the differences between the Mk VIII and Mk IX were internal, with the Mk VIII having a redesigned airframe and extra fuel tanks. The main visual difference was that the Mk VII and VIII had a retractable tailwheel, whereas Spitfires until then had a fixed tailwheel. The Mk VIII usually had the 'C wing' with 2 20mm cannons and 4 0.303 machine guns and could be fitted with bombs or drop tanks. 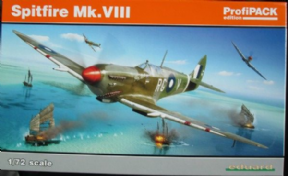 The Mk VIII quickly gained air superiority over the Japanese when it was deployed in the likes of India, Burma, Australia and Papua New Guinea. The Spitfire pilots used their aircraft's superior speed and climb to perform diving attacks on Japanese fighters, to which the Japanese could not match in their slower but more agile fighters. The Spitfire VIII played a key role in clearing the skies over Imphal and Kohima, allowing Allied troops to be supplied and supported by aircraft to finally push the Japanese out of India and Burma. The Spitfire VIII was also the basis for later Griffon powered Spitfires. Eduard are a Czech based manufacturer famed for their model accessories but they have in the last few years released a successful range of kits. The Profipacks contain a kit with several marking options, along with a Colour Zoom etch set, Canopy Mask and a full colour instruction booklet. 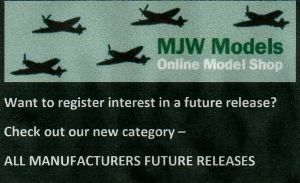 This kit is highly detailed and quite possibly the best ever Spitfire kit in 1/72. 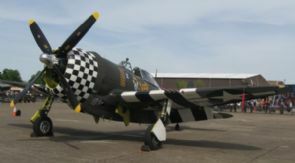 There are markings for 5 different planes from the RAF, USAAF and RAAF.